My name is Cathy Devine and I’m thrilled to be our school’s Box Tops for Education™ Coordinator. Schools have earned a lot of money from Box Tops collections and the money has been for Arts In Education Programs. This school year, our goal is to earn $1000.00. 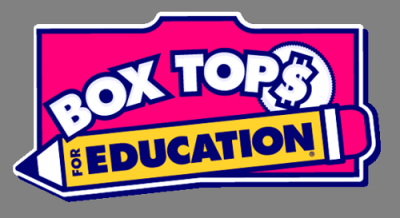 For more information on Box Tops, go to BTFE.com. I have attached a list of participating products. Be sure to sign up as a member (it’s free!) so you can check out our school’s earnings details and get access to coupons and bonus offers. A box will be placed in the main office in where the box tops can be placed. You can send them in an envelope, Ziploc bag or on a collection sheet . If you have any questions, please don’t hesitate to contact me. I’m here to help make our school’s Box Tops for Education™ program a huge success this year.